Verizon Wireless recently completed coverage improvements along the Mt. Rose Highway stretching from Wedge Parkway in Reno on the east, to Tahoe Meadows near the Mt. Rose summit on the west. Improvements in the past year include the installation of 4 new cell sites along the Mt. 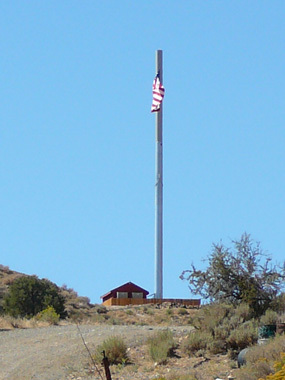 Rose Highway corridor and improvements to an existing cell site atop Slide Mountain. NDF Galena Fire Station – new taller monopine with room for 3 carriers replacing existing monopine. New monopine on distant/right with Verizon Wireless and AT&T antennas. T-Mobile will locate on the bottom position. 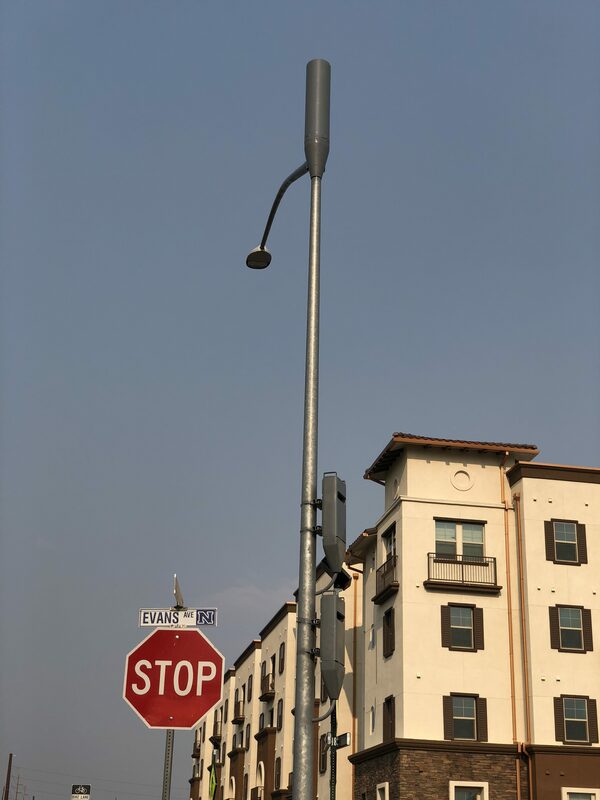 On July 25, 2018 the Reno City Council moved forward to allow the installation of small cells on city owned street lights. The agreements with AT&T, Verizon and ExteNet Systems, Inc. are projected to allow the installation of 100 small cell sites in the first year of deployment, and up to 5000 locations after 5 years. Additionally over 150 miles of fiber optic cable will be installed to support the small cells. Some differences between a small cell and the more common “macro cell” are the size of antennas and equipment, and the range. 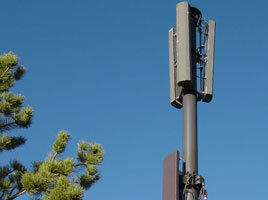 While a macro cell will typically service a range of one to several miles with multiple directional antennas as large as 8 feet tall, a small cells range is typically no more than 1/4 mile with antennas just a few feet tall and hidden inside a shroud atop a street light or other tall pole. 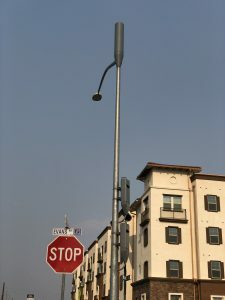 A small cell pictured here was constructed in mid-2018 on an existing street light at the corner of Evans Avenue and Enterprise Road in Reno, and served as a demonstration of what future small cells would look like. Edited 11/8/18 to correct that the small cell shown in the picture was a non-operational demonstration of the what small cells would look like. Do you have poor wireless cell coverage at home due to wireless carriers having trouble locating their cellular transmission antennas, towers and poles in residential neighborhoods? 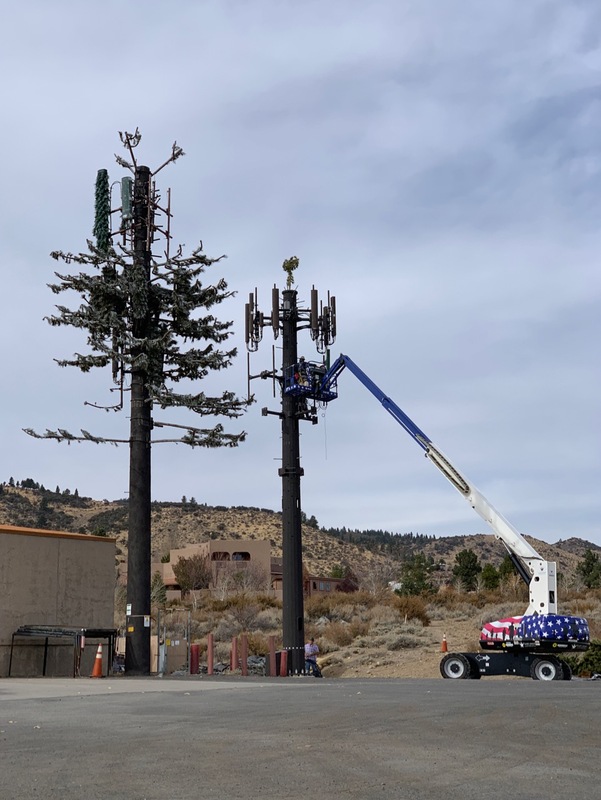 Resident complaints that cell towers will decrease property values or become eyesores within the landscape have persuaded elected officials to deny the permits needed to construct new cell sites. Wi-Fi Calling can be a better alternative – it uses the existing wi-fi connection in your home to connect your phone to the wireless cellular network through your home broadband internet connection. When connected, calls and text messages will typically be as clear and reliable as your wi-fi connection. Check with your carrier and/or smartphone manufacturer for instructions on how to setup Wi-Fi Calling. The advantage of Wi-Fi Calling vs. getting a femtocell is that if you have a compatible smartphone and a Wi-Fi router, there is no extra cost to setup Wi-Fi Calling. A femtocell can cost up to a few hundred dollars, however carriers will sometimes discount or fully subsidize the cost for the device for their more profitable customers. 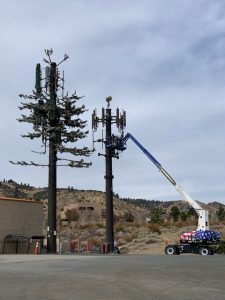 In Sparks, a cell site near Pyramid Way and Queen Way was relocated to a new church tower to the east due to the construction and widening of Pyramid Way. Verizon currently has at least 7 additional cell sites in the planning, permitting or construction process. T-Mobile has added a new cell site near South Virginia Street & Patriot Blvd. The site is co-located on an existing monopole which is also occupied by Sprint. Fierce Wireless has reported that the Cricket Wireless CDMA network will be shut down by mid-September 2015. AT&T bought Cricket in 2014 and has been transitioning customers to AT&T’s GSM/LTE network. It’s possible that once the shut down is complete AT&T will transition the old Cricket cell sites to AT&T LTE sites and help fill-in coverage gaps in AT&T’s network.